The dominating action of God’s focus is the state of your heart toward His son Jesus, Yeshua. It determines who His family is, who He will spend His eternity with. 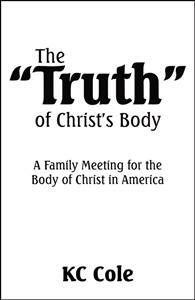 This is a family meeting of the Body of Christ in America regarding our relationship with each other as Jesus Christ, the head of the Body, sees it. What is keeping us apart? How are we to engage each other? Who is right, and how do we know? Is it possible to get ourselves together? Is there something missing? How are we really doing? Let’s find out!